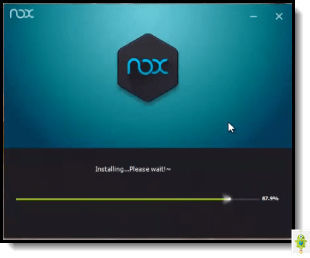 Nox App Player is one of the best Android emulators available over the internet. 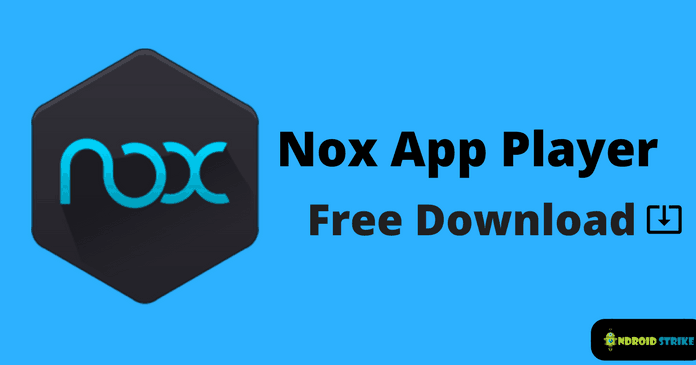 Installing Nox Player on your PC/Laptop lets, you run any Android application without the use of Android smartphone. Most of the Android gamers are so much eager to play the High-End games on big screen. Today, their wish going to be true with the help of Nox App. This App is user-friendly and consumes a quite low volume of RAM usage. It is suitable for daily gamers as well as compatible with Windows and Mac Operating System. Nox player is not only the famous Android emulator. There are enough amount of other popular similar Android emulators are there on the web like Bluestacks, KOPlayer, Remix OS player, Leapdroid, etc. We can say that Bluestacks is the best alternative to the Nox Player Emulator. Although, Nox Performs better than the Bluestacks in the view of users count. Because Bluestacks doesn’t support some of the games in its player and that is the why users started ignoring it. But, We cannot say that other Android emulators are bad. We are saying that Nox Player functions well than other Android emulators. Still, there are some of the drawbacks available on the Nox Player that we will discuss later. I think we are wasting our time comparing with other emulators. Let’s see the features of Nox App. As we already discussed, Nox App Player is Compatible with Windows and Mac Operating System. But, you don’t know what the features are there in the emulator. If you want to know, why the users love this emulator more than another then, you should read the features of it. It can handle High-End apps. Response time is faster than the Bluestacks. Some of the featured apps are pre-installed on it. Supports external devices like Joystick, Keyboard, and Mouse. Consumes low amount of RAM when compared with its alternative. It comes with Android 4.4.2 version. Multi-tasking: Nox is now capable of running two or more instance at the same time. One of the best salient features of Nox App is “Root.” You can notice this feature while using the app on your PC. Few apps on the Android environment requires root access to use the app. for that purpose, Nox player has added the one-click Root enable an option in it. By default, the Player is Non-rooted. To Root, the Nox Player Go to Settings >> General Tab >> Turn ON Root Option and Restart the Player. New features and bug fixes will be solved with the latest updates. installation time takes about 15-20 min. iOS Emulator for Android to Run iOS apps on Android Phone. After the completion of the download, click on the setup file and Install it. 3. Now, It takes a few minutes to install the whole setup. Wait for some time or grab a cup of coffee. 4. After the installation. Click on Start button and continue to the Nox App Player. 5. Now, you’re done!! You can download the app from the Play Store or upload the downloaded.APK file from the PC. I hope you have downloaded the latest version of Nox App Player for Windows as well as Mac. You can bookmark our website for upcoming tech news and reviews. Also, Do share this article with your friends. If you find some other better emulator than Nox Player then, let us know in the comment section. Also, don’t forget to ask your queries. I was tring do download this but I wasn’t aware about how to download this. So let me try one more time If I download so that will be better for me !